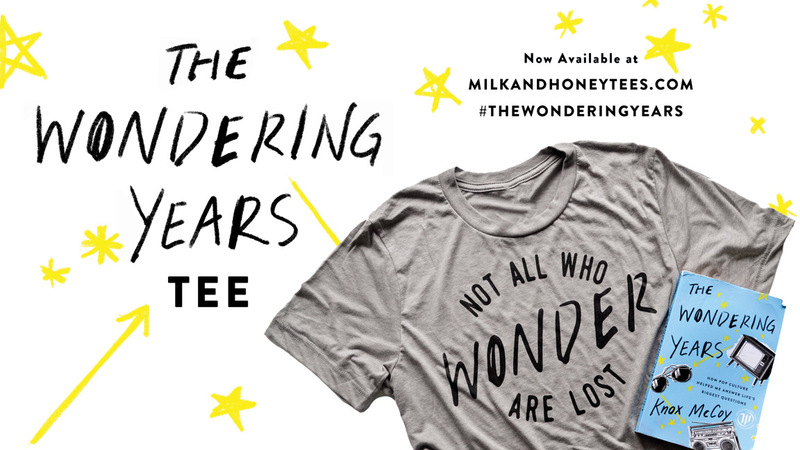 Fill out the form below to download the first chapter! 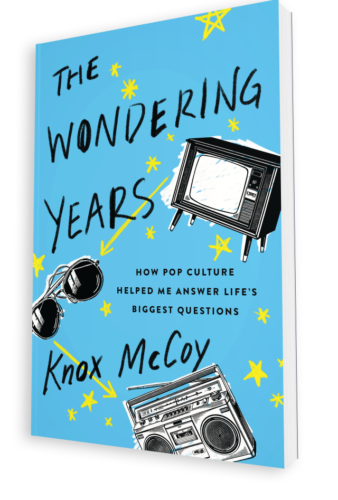 In The Wondering Years, Knox explores the idea of connecting popular culture to his own experiences. Through hilarious yet poignant stories, he reflects on how pop culture has helped shape his life and carve out the foundation of his faith. While the three cultural tentpoles—the South, the Church, and Sports—defined many aspects of his East Tennessee upbringing, it was pop culture that most definitively influenced Knox and his sense of the world at large. Knox McCoy loves laughing and making people laugh. Really anything that’s laughter-adjacent, he’s into. He’s also super into the word “swashbuckling” and his dream is to one day use it in a bio. Knox began podcasting in 2011 as a way to talk more about popular culture, and to his extreme surprise, he’s still doing it every week on The Popcast with Knox and Jamie. As a resident of the South, Knox’s heritage is to enjoy football and barbecue, and he does so with great passion. He also enjoys zombie movies, police procedurals, and a good Netflix binge. Learn more about Knox McCoy, The Popcast and The BibleBinge at www.knoxandjamie.com.